I've recently treated myself with a new camera, the Sony NEX-F3, and would like to share my experiences. 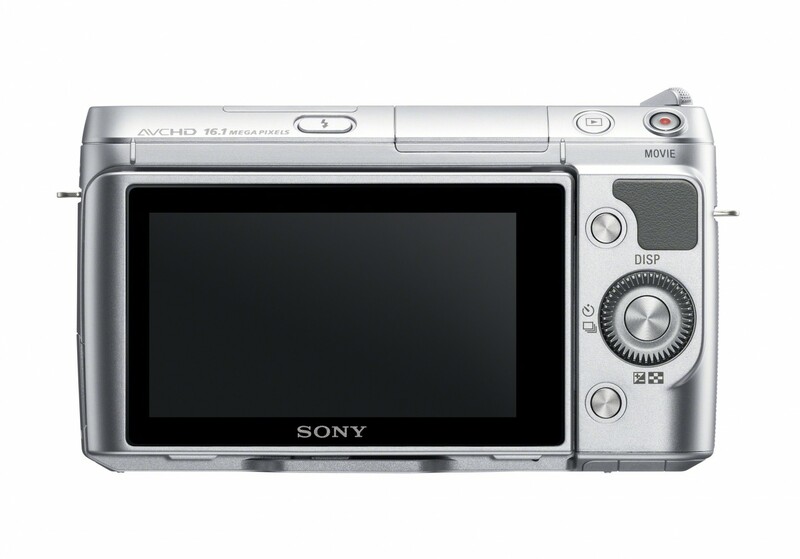 My previous camera was a Sony Cybershot F717 (see first picture in gallery below). I've bought it in 2006 after I was fed up with my little compact camera at a party where I wanted to take some decent pictures in bad lighting. Since then, I'm obsessed with image quality, large sensors and big lenses. I guess, size does matter here. After lots of longhaul travel, the F717 developed some faults, like the display showing wrong colors (the actual pictures were fine, though). So it was time to go shopping for a new camera, and I wouldn't settle for anything less than my previous camera. 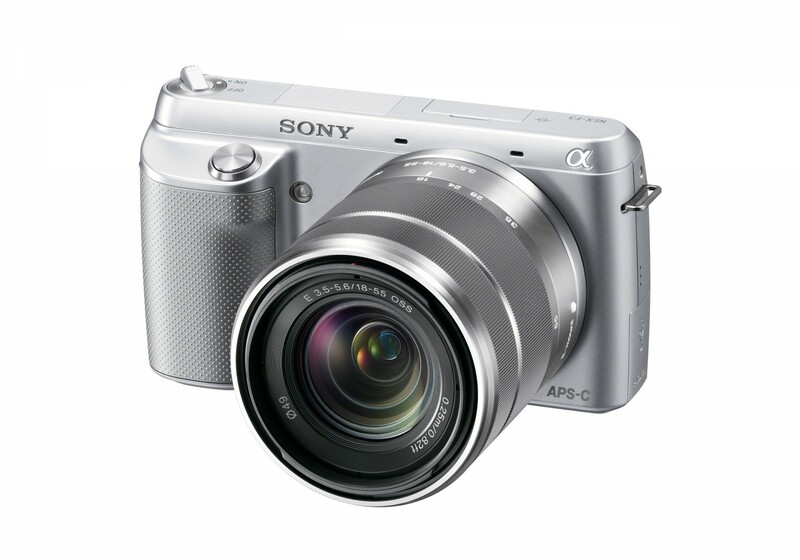 I read some reviews online, and then forked out 549€ on Amazon in August to buy the Sony NEX-F3. It arrived a few days later, along with a battery, charging cable (USB compatible), the default lens, but no memory card—so remember to put some decently large SDHC cards in your shopping cart as well! The camera is available in black and silver, and I highly recommend the silver finish as it gives the device a nice, almost vintage, look. The Sony NEX-F3 is smaller and a lot lighter than my previous camera. It can be screwed on almost any tripod, and mine (bought for the F717) can hold the NEX-F3 in any position with ease. You can charge the battery while inside the camera using an USB cable. A charger provides USB power if no computer is present. The whole setup is much smaller and lighter than the one of my old camera, which definately comes in handy while travelling. User interaction is my single point of criticism. Being used to the Sony F717 with lots of buttons and switches everywhere, Sony has simplified its cameras. There's a large screen, a wheel, and only three main buttons. They offer access to any setting through the main menu, although this is very bothersome for things you often change. That's why there's a custom menu: you can put 5 menu items into the custom menu, and this make them instantly accessable. My personal choice are Creative Style, Picture Effect, HDR, Flash Mode and Quality. You should definately schedule the next rainy afternoon to set things up properly, and also go on one or two training runs at the lake before engaging in any timing-critical missions. What can I say? I've bought the Sony F717 a few year ago, and was amazed by its image quality, far superior to any compact camera. At that time, I thought things couldn't get any better. It turns out the Sony NEX-F3 offers an even greater step compared to the F717: the image quality is sheer amazing, even in JPEG format. If you'd like to go the extra mile, the camera also offers RAW imaging, and a mode where both the RAW and JPEG images get recorded. You should set the JPEG quality to Fine, by the way. The large 16M sensor delivers a vastly superior image quality, which is even visible in the quick and dirty shots for your next eBay auction. You don't have to worry much about lighting conditions, as the big lens (compared to compact cameras) gets enough light onto the sensor. I personally think that 16M pictures are a bit too large to handle, and set my camera to 8M. There's hardly a need to change this setting during a photo session. Deep within the menu, you'll find the ISO settings. ISO 200 is the lowest settings, and pictures show no noise up to ISO 800. Even at very high ISO settings, the amount of noise is fair and somewhat comparable to webcams at daylight. I recommend to put the ISO setting in the custom menu (see above), so you can instantly switch to a higher setting at your next party or in other low-light high-motion conditions. 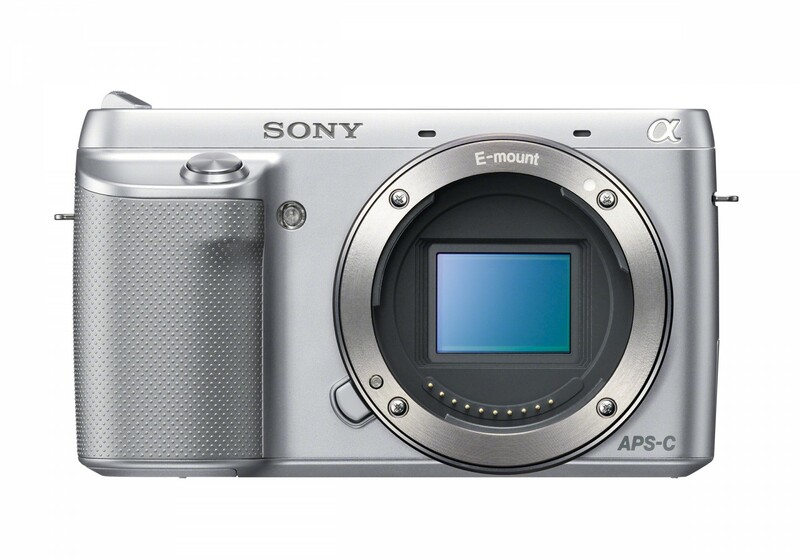 The Sony NEX-F3 comes with a lot of special settings and image effects that you'll hardly ever use, especially if you touch up your pictures on a computer—but three features are really neat: sweeping panoramas, HDR pictures and picture effects. A special mode allows you to take panorama pictures with the camera, rendering special stitching software on your computer obsolete in most cases. You'll have to hold the camera in landscape mode (no portrait), and also need a bit of training to get the rotation speed right. Although the camera's firmware adjusts to your sweeping, it is very easy to rotate too slow or (far more likely) too fast, resulting in an aborted recording. HDR (short for High Dynamic Range) was the latest craze among digital photographers a while ago. In short, the photographer takes two or more pictures from the exact same angle, but with different exposure settings. The final result is composed of many images, greatly enhancing details which would otherwise be just plain white or black. 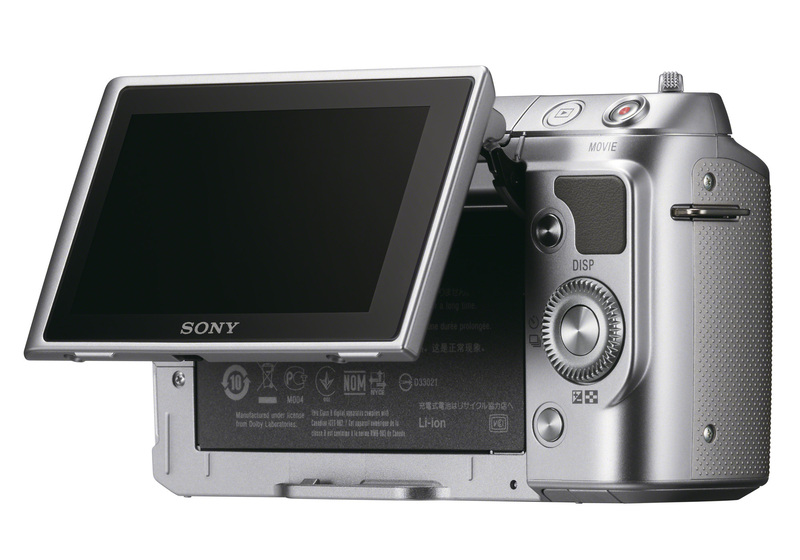 The Sony NEX-F3 offers an exposure setting which does the same thing, but automatically. Though the HDR effect is rather weak (the images don't get instantly recognized as HDR pictures), the mode somewhat improves steady night shots without the need for specialized HDR software. The camera offers a wide range of post-processing picture effects, but goes the extra mile here. There's not only a black/white option, but also a second “tone-rich” black and white, which creates a look similar to real black and white photo paper. I personally like the Vivid setting which enhances color saturation (something I previously used to do manually on my computer with almost any picture I've taken), and also a tilt shift setting (which makes things look like a model train landscape by further beefing up color saturation and unsharpening the picture edges). The Sony NEX-F3 is a really great camera. 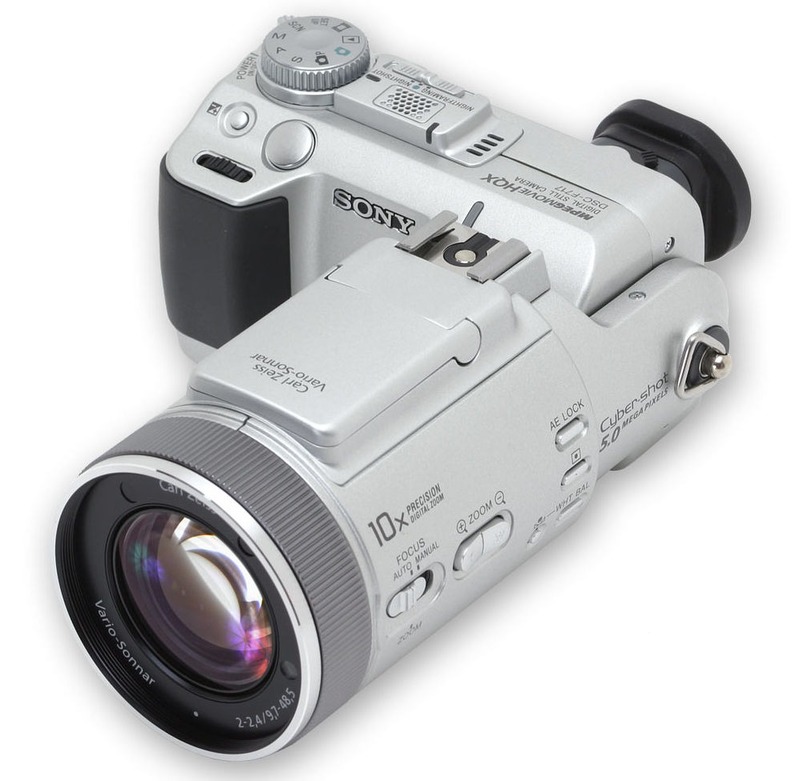 I have yet to see another camera with such superior picture quality in the <1000 Euros price bracket. But remember to order memory cards along with it, and schedule a rainy afternoon to properly set things up and get acquainted with this great piece of technology!